The default build qualities provided by TFS2010 do not match our current process for build promotion. 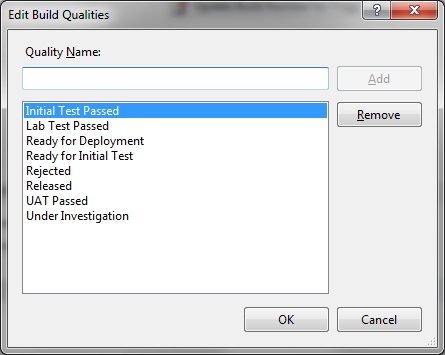 Customize the list of available build qualities in TFS2010. From the Team Explorer window you can right click on the builds folder and select Manage Build Qualities from the context menu.